This emotionally moving tribute gives insight into how Jackie Robinson affected the racial climate of Brooklyn and the nation. Breaking Ground: How Jackie Robinson Changed Brooklyn, by Alan Lelchuk, uses both memoirist and historian eyes to examine a baseball great. Lelchuk grew up in Brooklyn, the son of immigrants in the post-WWII era, and had a firsthand view of Jackie Robinson’s rise as a baseball player, a public icon, and a voice for equality. As a child, Lelchuck was starstruck by Robinson, but the book extols rather than deifies. It shows Robinson as a folk legend, as seen through the eyes of a young boy, but also as a man whose legacy is backed up by historical data. Lelchuk sets the bar high for Robinson’s impact—“Robinson did something for and through baseball that no other great player had ever done”—but he calmly proves every bold statement through his narrative research. 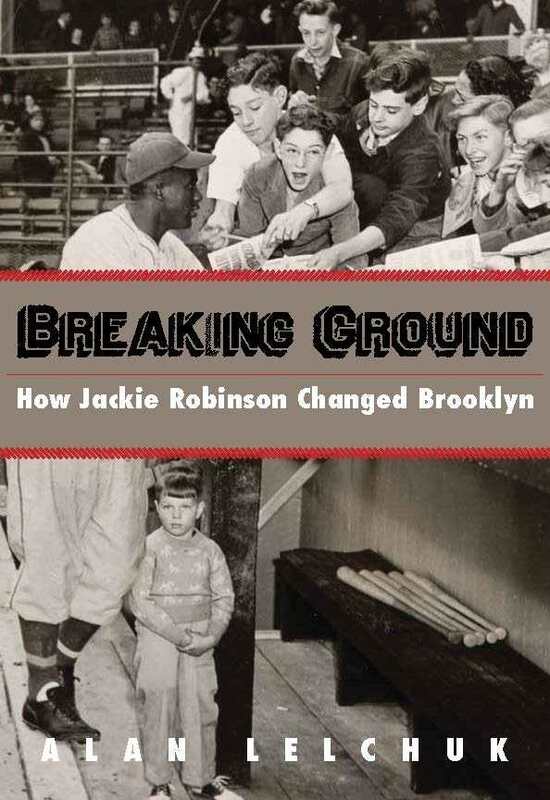 The book is broken into two parts: “The Brooklyn Project,” covering Robinson’s years as a player, and “Jackie’s Voice,” showing his lasting legacy. While Lelchuk is not necessarily attempting to drum up enthusiasm for Robinson as a person and a player, he does just that through his childlike excitement and his compelling research. Many are familiar with Robinson’s baseball career and cultural impact, but Lelchuk gives insight into the hope Robinson brought specifically to Brooklyn, and particularly to its immigrant families. While this book will catch the eye of sports fans and Robinson fans, its reach is far greater. It shows how one man changed the racial climate of a troubled borough during a trying era. But it also shows Robinson’s effect on one household and one young boy. Lelchuk’s great skill as a writer allows the book to meet the challenge of speaking on a personal and political level. Robinson was a baseball player; whatever he did, he did through the game. Lelchuk is a writer and researcher; like Robinson, he uses those means (rather than an over-reliance on emotion or self-disclosure) to accomplish his aims. In both cases, the results are deeply compelling—and the ends are strengthened by the means. Breaking Ground is an emotionally moving tribute to Jackie Robinson.